FEATURES/SPECS Here is every man's dream paperweight for his desk at home or office. 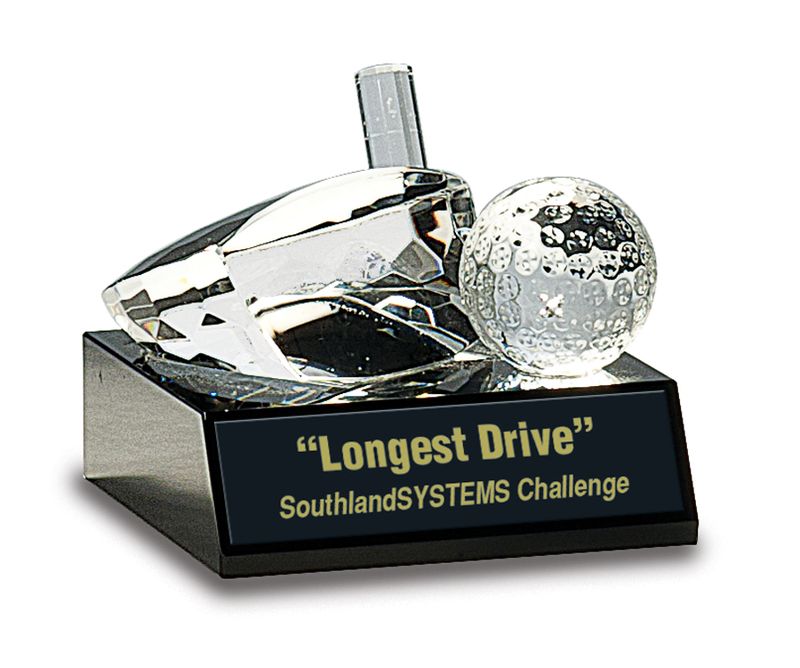 Imagine this 4'x3' crystal award, a clear crystal driver lined up behind a carved crystal golf ball, ready for the perfect swing and, on the jet black crystal base, the words 'Longest Drive', 'Hole in One' or 'Tournament Champion'. 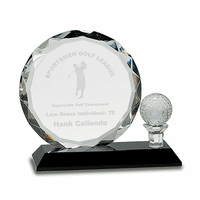 It's an eye-catching conversation piece, primed for bragging rights about your big win at your club or company tournament when friends or clients come to the office. 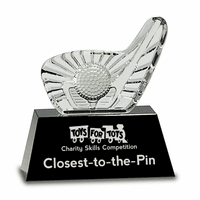 And it's a great keepsake to remember that one moment, whenever you see it on the desk. 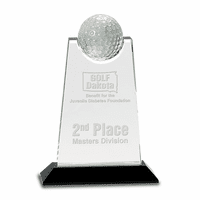 If you're holding a tournament at your club or organization, remember the importance of the trophy! 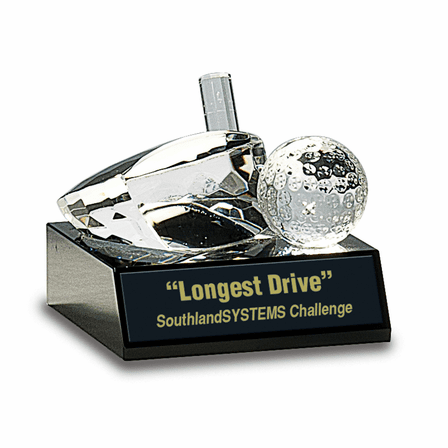 We offer free personalization of your event, phrase, date and/or logo, and we package your trophy in an attractive gift box that's ready to present to your lucky winner. 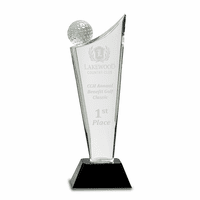 We also are happy to offer you our Satisfaction and Performance Guarantee, because we already know you're going to love this trophy!